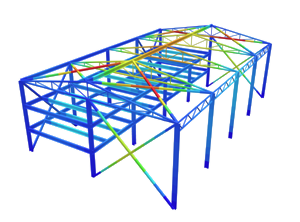 Calculating the section properties and submitting them to to be used by other areas of SkyCiv’s software is the primary purpose of the Section Builder. Let’s explore how this can be achieved. After a section has been added on the design area, the section properties can be calculated by clicking the ‘Calculate’ button. Notice that a menu will open up on the right which tabulates the section property results. The results are separated into properties for geometric, moment of inertia, elastic section moduli, shear, and torsion. SkyCiv’s Section Builder is integrated into SkyCiv Beam and SkyCiv S3D. In doing so, whenever members are created, they can be assigned a cross section created with SkyCiv’s Section Builder. Essentially, the calculated section properties are fed into the other software packages for further structural analysis. In SkyCiv Beam, the Section Builder is accessed by clicking ‘Add/Edit Section’. In SkyCiv S3D, the Section Builder is accessed by clicking the ‘Sections’ menu button, and then clicking the ‘Builder’ button at the top of for form. 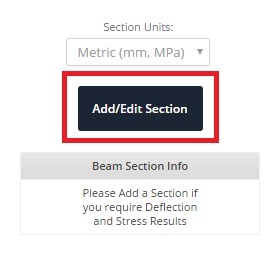 After a section has been created, to submit your section to your beam/member, simply click the ‘Submit’ button. Note that the ‘Submit’ button does not exist on the standalone version of Section Builder. 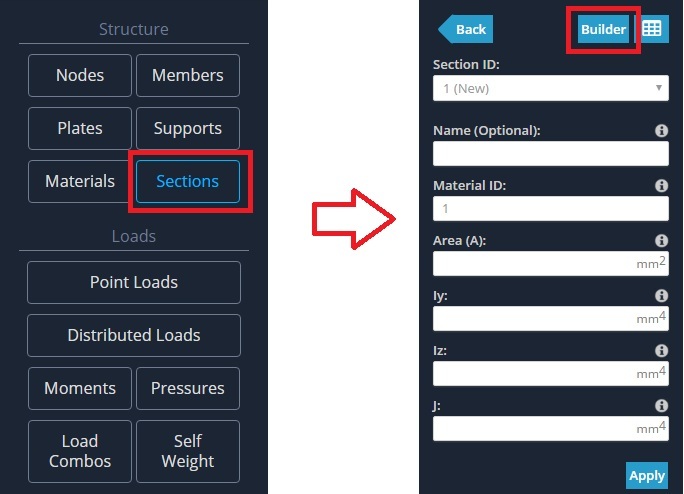 Instead, you need to access the version of Section Builder which is integrated into Beam or S3D to submit your section.